If you're a Christian entering college, chances are that one of the first things you're looking for is a Christian ministry on campus. After all, you probably heard about all the challenges college life brings to your faith. Drinking parties. Liberal professors. Secular dormmates. Therefore you see the benefits of joining a Christian club and having a Christian community in college. And more likely than not, you have a plethora of options to choose from: Intervarsity, Campus Crusades, AACF, KCM, CCM, etc. Traditionally, these campus ministries are led by an independent parachurch organization that's loosely supported by a variety of different churches/pastors. Therefore when you attend these gatherings on campus, you'll meet a variety of collegians from a variety of different churches. However, you may also notice there are some campus ministries where all the collegians attend the same church. For example, at UCLA most of the students who attend Grace on Campus attend Grace Community Church in Simi Valley. Why so? Well, it's because Grace on Campus functions as the college ministry of Grace Community Church. In other words, Grace on Campus isn't led by an independent parachruch organization; it's led by an individual local church. I know other local churches are beginning to follow suit where they're pulling their collegians from parachurch organizations in order to start their own ministry on campus. You have Acts 2 Fellowship at UC Berkeley, Redeemer at UC San Diego, and CrossLife at UC Irvine (just to name a few). And I have to ask myself: Is this a good trend? Before answering this question, it's worth asking why some churches decide to create their own campus ministry in the first place. I'm sure if you ask, most of them would would say it's for missional reasons. They'll say, "Well we want to reach the city through the college campus." But why not just partner with the campus ministries that are already there? Or maybe it's for the sake of discipleship. They'll say, "So many of our members are located on campus that we we think having our own campus ministry would only benefit them." Fair enough. But aren't they already benefiting from their parachurches? I mean, isn't that how they found your church? And this is where I think there's something more going on here. I think some pastors are uncomfortable that their students are getting discipled by other pastors. I think some churches are annoyed by how involved their students are with their parachurch. And I think some leaders don't like how all of their student's campus ministry work isn't directly benefitting their local church. Of course I'm only speculating here. I'm sure there are probably a variety of reasons why pastors decide to create their own college ministry on campus. And I also know there are many benefits to this idea, which leads to my next point. As someone who served in a local church college ministry for many years, I can see a lot of positives when our collegians are no longer involved in the parachurch. I understand how annoying it is to have collegians miss bible study meetings for stupid parachurch events. I know how frustrating it can be to see collegians coming to church exhausted from serving so hard in their campus ministry. And I know how disconcerting it is to see your collegians investing in their parachurch community more than in their church community. So if they're no longer involved in a parachurch, then you remove this unnecessary headache. Often times campus ministries will do things differently than your church. They'll worship a bit differently. They'll bring speakers with a different theological background. And they'll have different types of Christians from a variety of church traditions. How is all of this influencing your collegians? Wouldn't it better if you provided your students with something much more aligned with your church's traditions and doctrines? By having its own campus ministry, a church is now directly "engaging" the college campus. Students no longer need to go through the "middle man" of a parachurch to find out about your ministry. Instead, they will have direct access to your church on campus, which will create a nice funnel to your Sunday worship. This not only creates unity but also removes the church-hopping culture that parachurches tend to breed. College is supposed to be a special time where students come together to experience the exchange of ideas and to encounter different worldviews. Shouldn't this also be the case within the Christian faith? Personally, I think it's important for Reformed Christians to not just read about their Charismatic brothers or Methodist sisters; it's so helpful to actually interact with them. That's because through these interactions, you get to see that God's kingdom is far greater and more diverse than you ever imagined. I remember having many conversations with parachurch students who told me, "I never knew there were Christians who practiced their faith differently from my home church." But this is what you lose if collegians only worship with one type of Christian. And this leads to my next point. When a church creates its own campus ministry, what they're essentially doing is having their college students primarily meeting with other Christians who are from the same tribe. They'll be worshiping the same way as your church worships and will be listening to the same type of preaching they always listen to. Yes this creates alignment, but is this really a good thing? As author Os Guinness writes, an unexplored faith is quite often a shallow faith. And nothing challenges you to explore your faith more than when you meet people who believe and practice things differently than you. But if you never interact with such people, how will such exploration ever transpire? There's probably a reason why most Koreans are Presbyterians while most Chinese are Baptists. Humanly speaking, different traditions tend to attract different types of people. 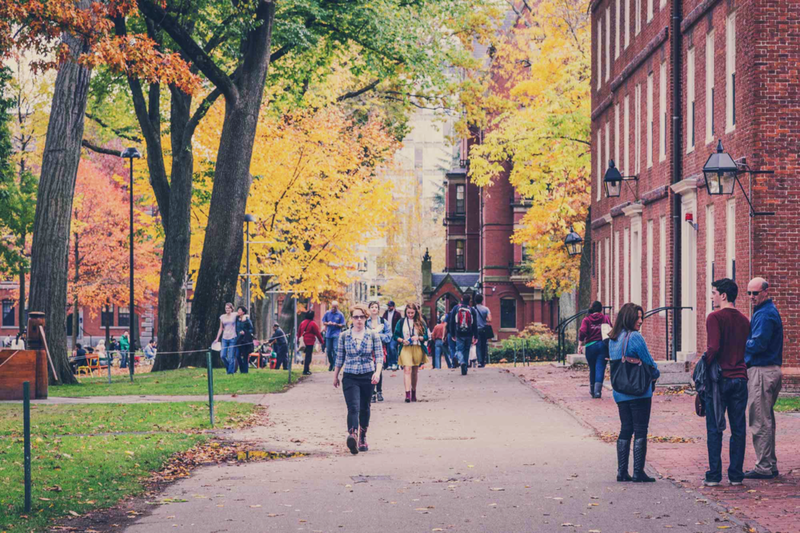 Therefore when you have a campus ministry filled with a variety of different church traditions, you'll have a greater chance of reaching people who perhaps wouldn't be reached in your hyper-Reformed or overly charismatic college ministry. So Should the Local Church Replace the Parachurch? Personally, I have no bone in this this debate. I serve in the local church and I'm not affiliated with any parachurch organization. In fact, as someone who led a local church college ministry, I know from experience how annoying it can be when students are involved in their campus ministries. That being said, I think it's a mistake for local churches to create their own college campus ministries. The way I see it, everybody loses when churches do this. First and foremost the collegians lose because, as mentioned above, they miss out on the rare experience to explore the Christian faith. And if they're already involved in a campus ministry, we bind their consciences to leave and start something new with their church because, well, it's their church. If you family starts a business, you're expected to get involved. The parachurch also loses because you not only gut the ministry of their leaders and community, but you limit their ability to evangelize. In college, effective evangelism tends to happen when there's a plurality of different Christians worshiping together. The different tribes and traditions can uniquely minister to the different types of individuals who walk through their doors. And in the long run, I believe the local church loses. What's ironic about all of this is that a local church's college ministry usually grows because of the parachurches around them. It's only when the church has a ministry that's big enough to sustain itself that they will try to do something on their own. But apart from Grace on Campus, I haven't seen many churches that are successful at this. Perhaps it's because at the university level, this is something that the parachurch is uniquely meant to do.